Ever jolted out of bed with a hit of inspiration so great that you had to act on it? I know I’ve woken up with article ideas, taglines, logo inspiration … even what song I MUST listen to in order to get my day started (hey, it’s important) … that comes seemingly out of nowhere. 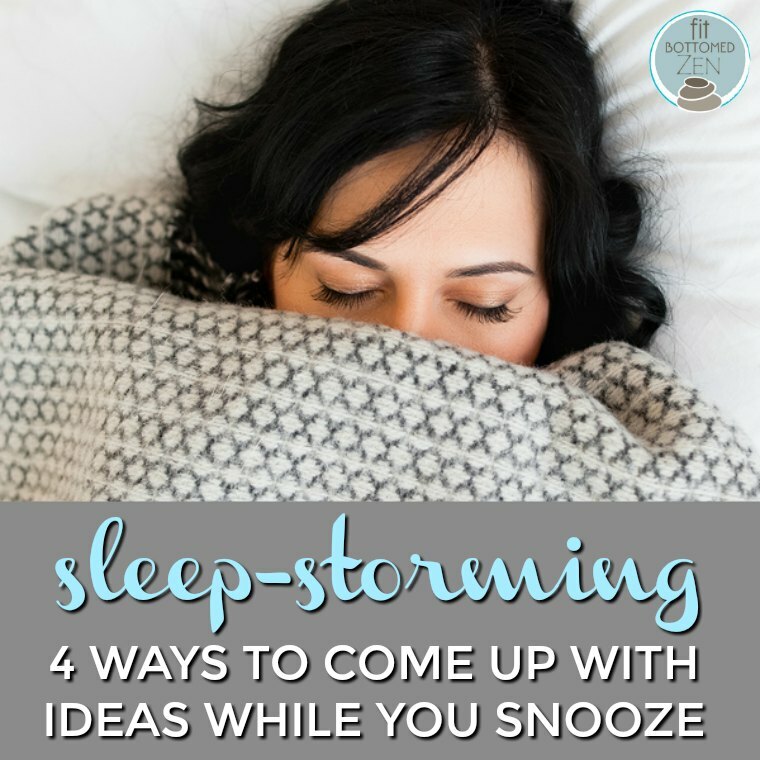 The phenomenon isn’t uncommon — in fact, “sleep-storming” is now being called the new brainstorming by Calm (dude, if you haven’t been to their site or app yet, DO IT NOW. It’s great). Scientists have been studying “structured unconscious generative ideation” and have found that you can actually boost your odds of generating and capturing new ideas while you sleep by following a few tips. Here are four simple ways to do just that, suggested by Calm. Instead of just falling asleep, brief or prime your subconscious to generate new ideas. Before falling asleep, ask yourself the question that you’re trying to answer; then, finally, focus on something else, such as reading or relaxation techniques. It can be hard to remember your dreams and/or any ideas they inspire the next day, so, always keep a notebook by your bed. Get into the habit of writing down your dreams — and any ideas they might trigger — immediately on waking and almost before you are fully awake. Write down every dream you can recall rather than being selective. The act of writing them down helps you build a relationship with your subconscious, which should in turn help improve your dream recall. Waking yourself while dreaming or starting to fall asleep was a technique used by both Salvador Dalí and Thomas Edison. Dali would put a tin plate on the floor and then sit on a chair beside it, holding a spoon over the plate. He’d then try to doze off so that the spoon would fall and wake him. Edison did similar but with ball bearings and a saucepan. The aim for both was to jolt themselves awake in order to capture ideas from their dreams. Lucid dreaming is the sense of being consciously aware that you are dreaming. This state can help you to explore ideas, control elements of your dream and have better than normal dream recall. Learning to dream lucidly takes time and practice. Try repeating a mantra telling yourself that you want to dream or know that you are dreaming and, for example, want to be aware that you are dreaming and to remember the dream. Definitely wanna try it soon..